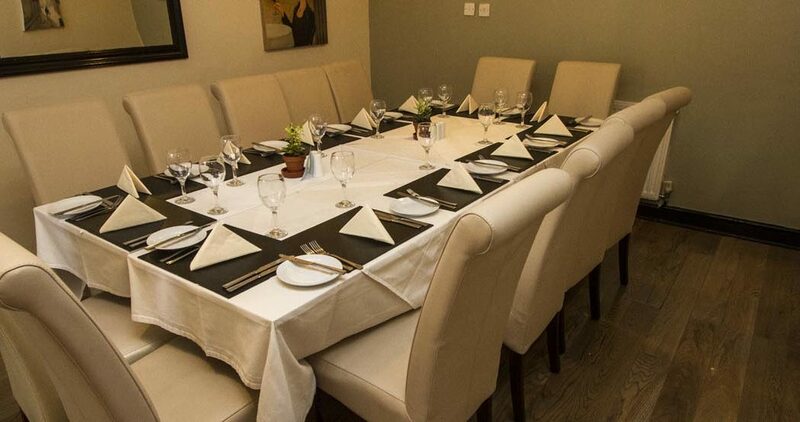 Haigs Hotel is the ideal place for holding both business and social events, our Annexe Room can be set up for business and social meetings for up to 12 people; or set up for a special occasion or group meals. With all of them having free & speedy WiFi, still and sparkling water, use of flipchart and projector and screen – we’re sure that they will be a perfect fit! Refreshments: Tea/Coffee – £2.00pp, Soft Drinks – £2.00, exc J2O | FREE refills on Tea/Coffee. Buffet Lunch: £11.00pp, includes a selection of sandwiches, chicken kebabs, ciabatta with cheese & tomato topping, tortilla chips with home-made salsa, sausage rolls, half filled jacket potatoes with cheese, selection of cakes, fruit platter – served with orange juice. Availability dependant on restaurant bookings, early booking recommended.